Can the left's crisis be fixed? Is there a chance that the Labor party will return to its status as a ruling party? The left-center parties pinned great expectations on Benny Gantz's bid for prime minister as a hope for replacing Binyamin Netanyahu. It didn't happen. The Blue and White party claims that it may win next time after it gains experience and a broad base of voters, but there are also party split scenarios, along with calls for the dismissal of Avi Gabbay from his position as the chairman of its partner party, Labor. Can the left's crisis be fixed? Is there a chance that the Labor party will return to its status as a ruling party? These questions were posed to Chaim Ramon, a past Justice Minister, Minister of Health and Minister of Internal Affairs as a member of Labor and Kadima. When asked whether there's hope that the Labor Party could regain its status as a ruling party, Ramon replies half jokingly, "The Labor Party ended its historic role ten years ago and became a niche party. It died politically in 2013 when Ehud Barak crowned Netanyahu as prime minister when there was still a chance for a rotation between him and Tzipi Livni. Since then it has deteriorated until it was marked as a niche party that only strives to be Netanyahu's assistant rather than an alternative. So it ended its historical role long ago and now it's also official." 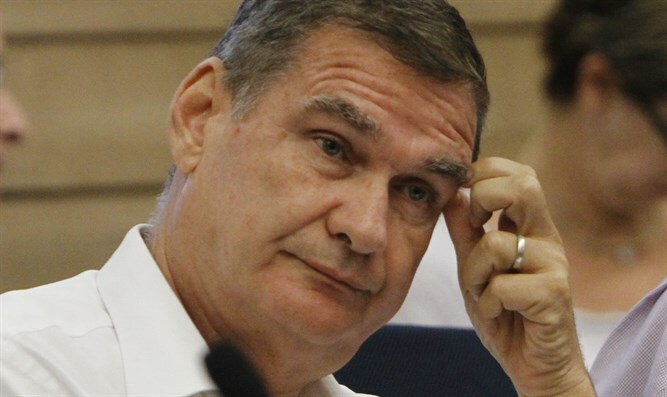 "I assume that part of the party has to connect with Meretz and another part of it needs to find a platform for a real alternative," Ramon says. When asked whether Benny Gantz's party could be the alternative, he again chuckles at the idea: "Benny Gantz, what does he say? He says that we want to adopt Bibi's policy - only Bibi is in our way." "Yoaz Hendel put it best when he said Bibi is an excellent statesman but the way he works isn't right for me, so he joins Blue and White, which failed to present any political-security alternative. They said that the center-left bloc will win the elections only if a security expert heads the party. In addition, Blue and White is held captive by seven MKs who are the New Right. Hauser and Hendel bitterly bemoaned the end of the New Right and congratulated Bennett and Shaked on contributing to the state and said they would continue the path of Religious Zionism. In other words, the New Right didn't pass the threshold, but they're within Blue and White - they don't intend to be an alternative. Ramon also criticized Yair Lapid's post-election speech in which he promised to embitter Netanyahu's life in the next Knesset regarding his indictments and submarines, rather than on serious and significant issues such as security-policy issues. He rejects Lapid's statements opposing the transfer of millions to Hamas, mentioning that Lapid's partner [Moshe] Ya'alon transferred $1 billion to Hamas [when he was Defense Minister] so Lapid's remarks cannot be seen as a serious alternative. To this Ramon adds that "If the center-left leader speaks in AIPAC and fails to mention the existence of the Palestinians or peace, not even as a far-off wish, then they're not an alternative. There are people there [in Blue and White] that would join Likud in a minute if Bibi wasn't there." Ramon states unequivocally that even if there are those who would like to blur the dispute which divides the Israeli public as that between the right and left, in his words, "This is either a bi-national state of the entire land of Israel or a Jewish state on part of the land of Israel. It was true in the 1950s and it's true now." And as long as there is no political platform that will uphold the left's perception of dividing Israel, there won't be a worthy alternative, not even to hold a serious discussion about Israel's future. "These people don't understand that opposite the miracle of the Land of Israel must stand the miracle of the Jewish state. This is the only banner, and the court's supporters, socialists and capitalists will be able to convene under it." Towards the end of the conversation, Ramon was asked whether, in light of the situation on the Israeli left, he would carry the political banner himself and form a party with these positions. "I'm not going to establish anything, I'm only giving a diagnosis. If I could be part of the cure, I won't stand aside and I'll be willing to help even though I live a very good life like most of the residents of Israel."